Your inspector, Ian Souden, has the experience, professionalism and personality that you are looking for. Since an early age, Ian has been working in the construction field with his family business, specializing in custom home design/build projects, room additions, complete or partial home renovation, commercial property renovation, and everything in between. He has an extensive hands-on knowledge of the construction process from concept to completion. 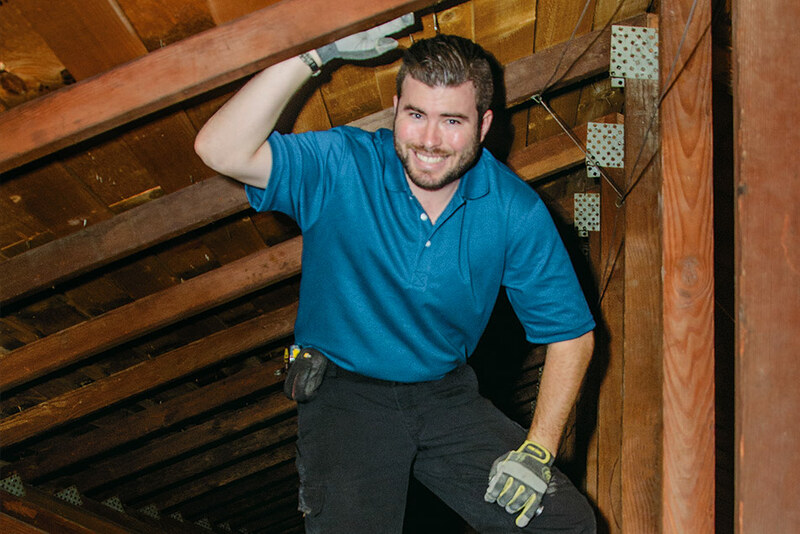 After completing a two-year, college level certification program for construction management, he has been a break-through professional in the property inspection industry since 2009. With years of inspection experience, thousands of residential and commercial inspections performed and certification through the California Real Estate Inspection Association (CREIA), you can rest assured that we are your first step to an informed decision! As certified inspectors with the California Real Estate Inspection Association (CREIA), our inspections follow the standards of practice set forth by CREIA, which are recognized by the state of California as the standard of care for the property inspection industry. You are encouraged to review the CREIA Standards of Practice and the CREIA Code of Ethics to familiarize yourself with the inspection standards for the state of California. What do we inspect in the house and what is the general procedure? Think of our inspection as a physical you would get from your doctor. 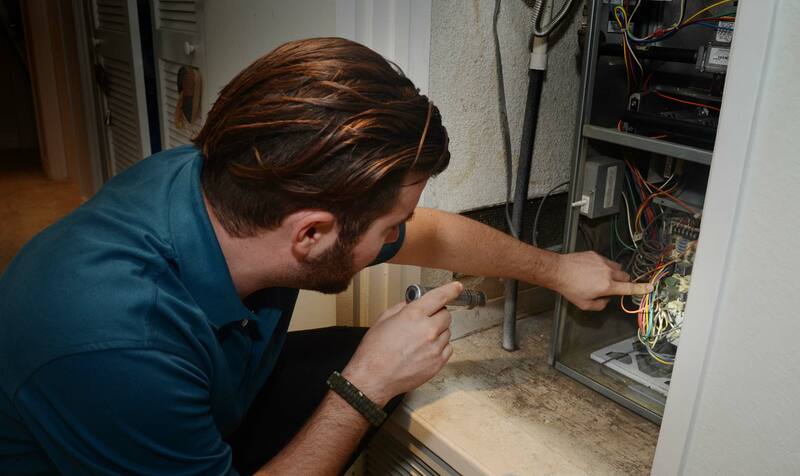 We evaluate the home and property with special emphasis on the major systems and components. If there are any significant deficiencies or potential issues with any major system or component, we make the proper recommendations for correction or further evaluation by a specialist as needed. Do keep in mind that our inspection is a visual evaluation of the home, meaning that we are not able to remove or alter material or do damage to the property to diagnose any observed condition. Once we have thoroughly evaluated the major components of the home and reach an overall consensus on the condition of the home, we will discuss the findings and help answer any questions while on site. A comprehensive report with multiple pictures, diagrams and videos will be available within 24 hours. As always, customer service is a main priority. If there are any questions or concerns regarding the inspection report, please feel free to contact your inspector. Call today to schedule your personalized property inspection! We inspect and evaluate all the major systems and components for the house and property, following the standards of practice of the California Real Estate Inspection Association. Our thorough inspections generally last anywhere from 90 minutes to 3 or more hours, depending on the size, scope and condition of the property. When is the report ready? Our policy is to send the complete inspection report within 24 hours after the inspection is finished. Larger or more complex properties may take longer to generate the report, but should be available within 48 to 72 hours after the inspection. We are open for business and available for calls Monday through Friday, 8:00 a.m. to 6:00 p.m. and Saturday 9:00 a.m. to 5:00 p.m. For your convenience, we offer up to three inspection time slots per day. Our availability depends on demand and booking is on a first come, first served basis. Call today to schedule your inspection! Feel free to call us directly and we will work to accommodate you. After hours, please email questions to office@fortsouthinspects.com and we will respond as soon as possible. There is no substitute for experience! Your inspector, Ian Souden has been in the property inspection industry since 2009 and has performed thousands of residential and commercial inspections. He has seen all types of properties built within the last 120 years and in most areas of southern California. Ian is known for his excellent explanations, calm attitude with the clients, concise and easy to read reports and follow-up customer service. Like most things in life, you get what you pay for. Our service pricing is competitive with other companies in the area and represent an excellent value. For more information on pricing, please review our pricing list below. Don't forget to browse our additional services that will enhance your standard inspection report. Regardless of who you choose for your next inspection, one question to ask is: “Do you carry E&O insurance with General Liability coverage?” Believe it or not, some inspectors either don’t carry Errors and Omissions insurance, or don’t have adequate coverage. For your peace of mind, we are properly insured with E&O and general liability coverage. Excellent customer service is a cornerstone at Fort South. Our clients are highly encouraged to call their inspector directly with questions or if they need clarification on the report. 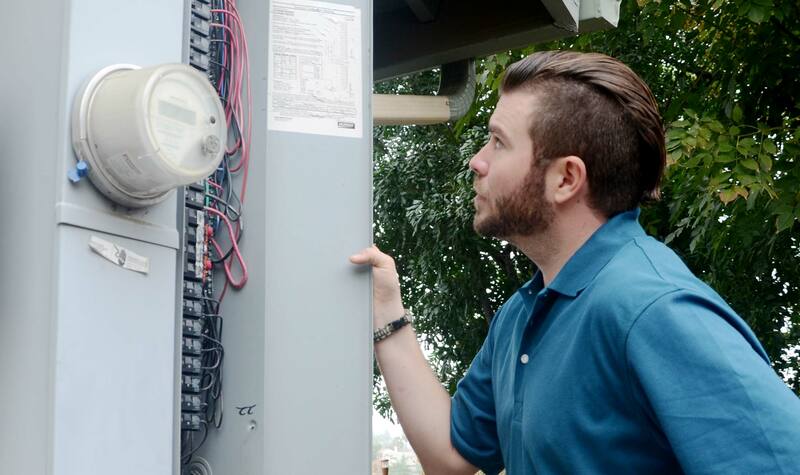 From your first call to the last, we will help guide you through the inspection process. "It's important to have an inspector that has a background in construction. The owner, Ian has been a great asset to my firm and helped my buyer's better understand the property condition prior to the purchase." "Ian was on time and he explained to us the inspection process prior to starting to help us feel more comfortable. At the end of the inspection, Ian went over his findings with us. If we had questions regarding a particular item, then he would go into more detail. We were very pleased by his professionalism and thorough review of our home. We would definitely recommend him to our family and friends." "Ian was wonderful to work with. He was very courteous, thorough and knowledgeable. I appreciate that he really took the time to explain everything and answered all my questions in detail." "This company has excellent service. I will recommend it to anybody who needs a home inspection. Ian Souden, owner, went to do the inspection to my clients future home and the report was very thorough and has helped me and my clients tremendously as we are negotiating repairs before finalizing the purchase. Ian was very informative to us, courteous, friendly and just an all around great guy." "Ian did a thorough inspection to the townhouse we are purchasing and he also gave us lots of helpful advice about how to monitor and maintain our home. Very happy to work with him, and will choose Fort South again." "Ian is always on Time, is professional and helps educate my clients!" "Ian is an absolute and Total 5 Star Professional. He knows his trade extremely well. Based on my observation of his knowledge of the home inspection trade, I could say that he is an authority figure in this area. I highly recommend him to home owner's looking to purchase a home or other real estate professionals that need a reliable, honest, prompt home inspector. Thank you Ian." "Ian is one of the most knowledgeable and well-spoken inspectors I've met in 25 years. He is detailed in his inspections and makes the client feel comfortable by speaking to their level of expertise. I'd highly recommend him to realtors especially since he knows the intricacies of inspections, is very reasonable in his costs, and can speak clearly with the customer. He is easy to understand, and never in a rush to get to the next inspection." "Ian came and did a crawl space inspection. He did an awesome job! Found things my first inspector missed when we bought in September. He was clear on his price and didn't try to charge a penny more. His report was excellent and provided great photos. He was on time, knew what he was doing and had the report done in about 4 hours." "Ian is thorough, professional, and experienced with superior communication skills. As a first time home buyer, my expectations of what a home inspection entails was far surpassed. I have a full understanding of the property I am purchasing down to the minutiae. Highly recommend!" Fort South is Southern California's break-through inspection company. We have the experience, professionalism, and personality you've been searching for! Let us point you in the right direction.